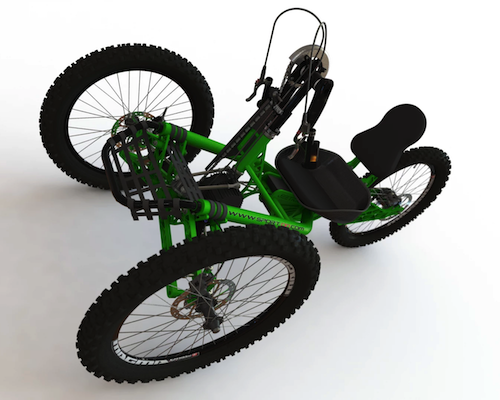 JEETRIKE Off-Road Handcycle, has an upright seating position, rear wheel drive, full independent suspension on all three wheels and manual or electric drive option to choose. Thanks to completely new 4-link suspension, we were able to achieve really short wheelbase to increase the rear wheel grip and the frame stiffness, in the same time the turning radius has decreased. JEETRIKE is suitable for nearly all persons with different type of disability, including the people with quadriplegia.